Well, it rained. It poured. We all got wet. 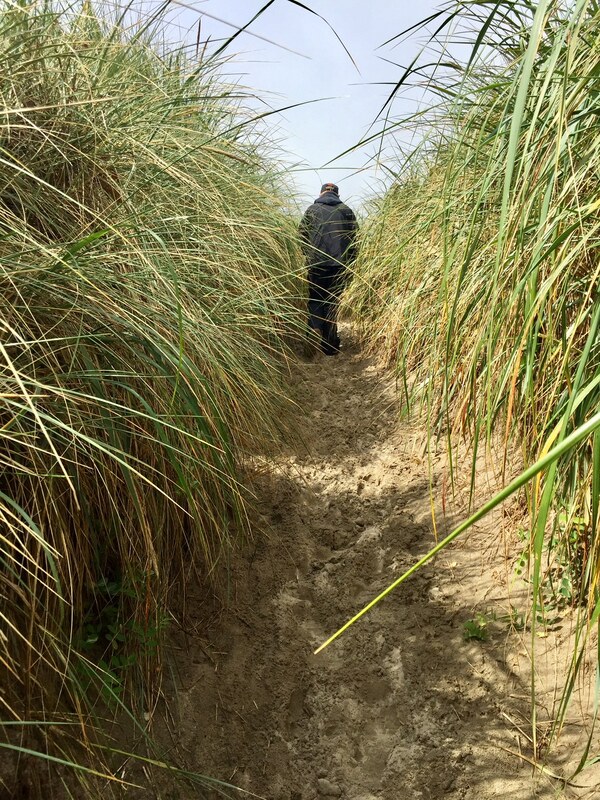 But we had fun, and by the time we reached the beach, the rain had stopped - and it was blue skies when we got back to the bay. 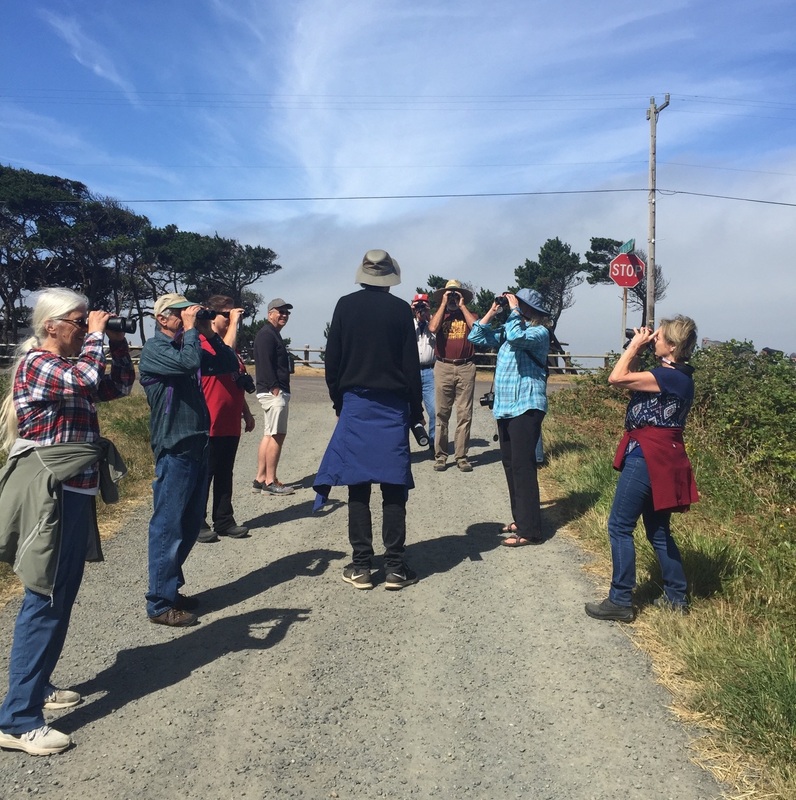 All but one of the group of eleven birders were central coast locals, with one visitor from La Grande. 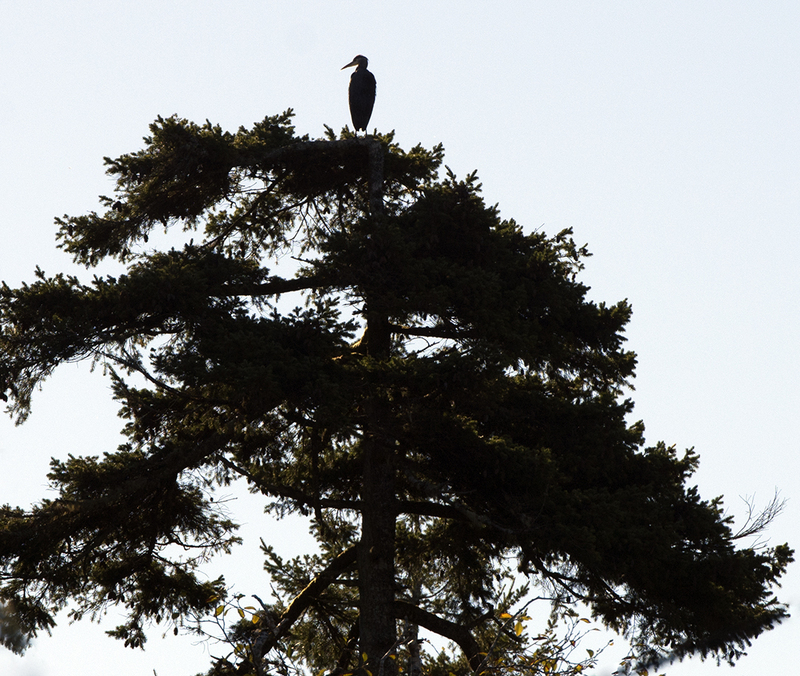 The tide was in, which meant the herons and egrets were on the far side of the bay, but we got good looks at the wintering waterfowl. 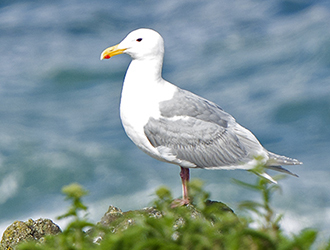 In spite of conditions, we saw an amazing 28 species! 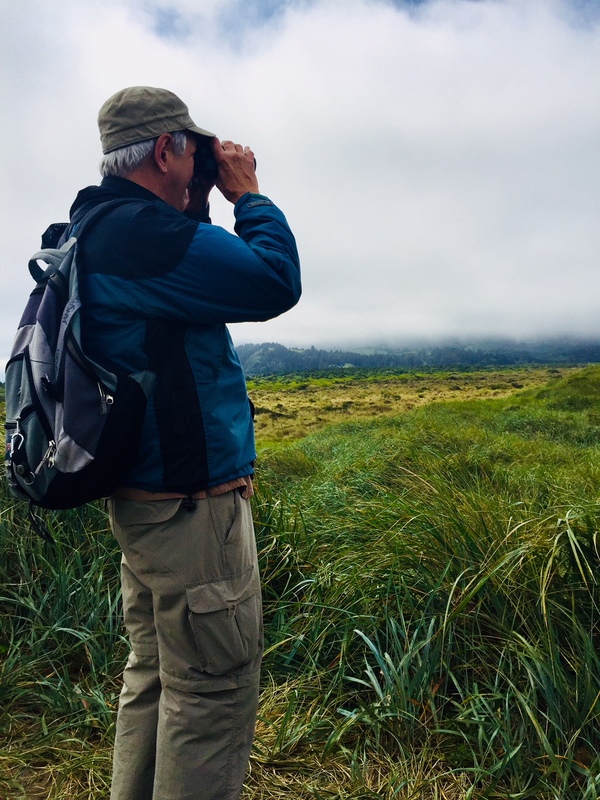 While scanning a flock of American Wigeon looking for an elusive Eurasian Wigeon, trip leader Mark Elliott pointed out a Northern Harrier over the marsh. 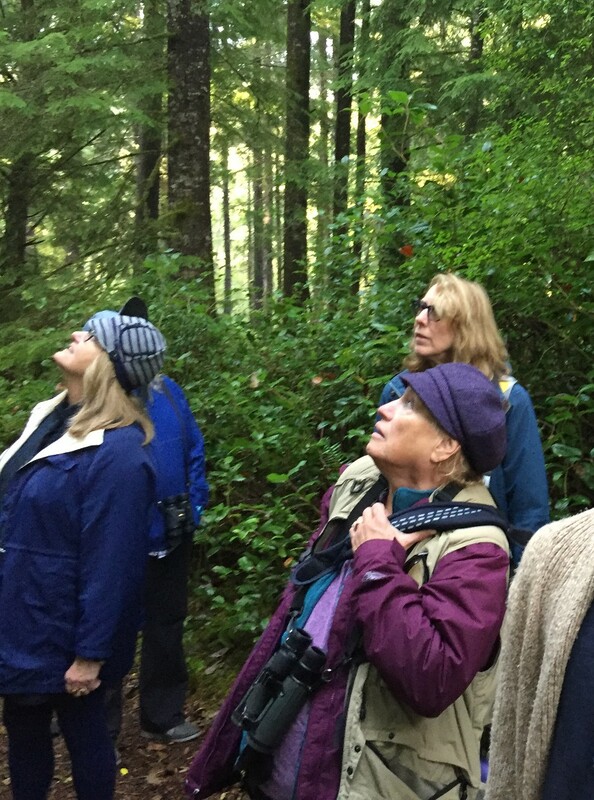 As we watched, Mark spotted a Bald Eagle approaching -- followed by a Red-tailed Hawk! 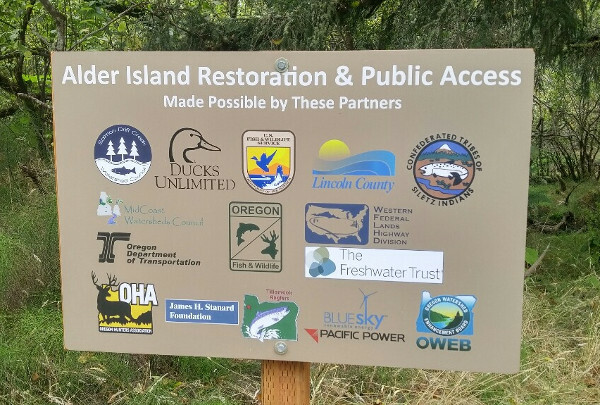 An exciting experience! 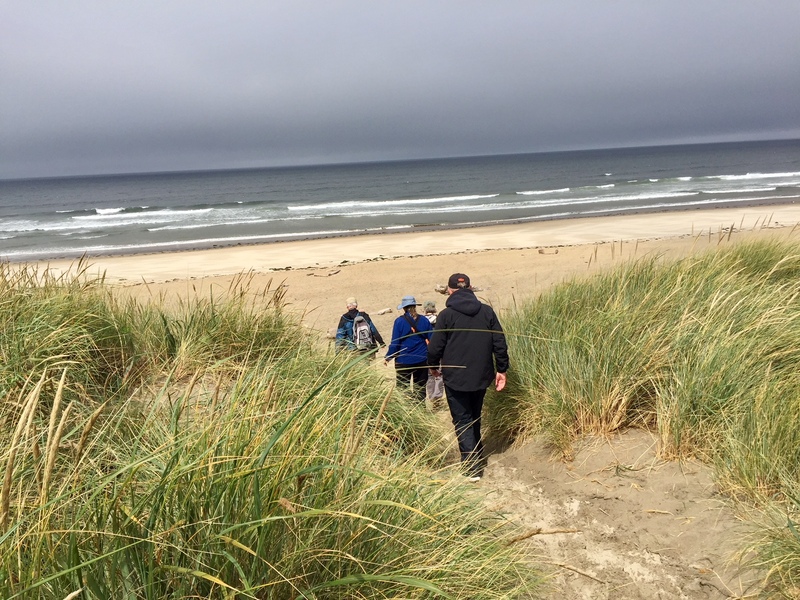 Special thanks to Explore Lincoln City for sponsoring the event. 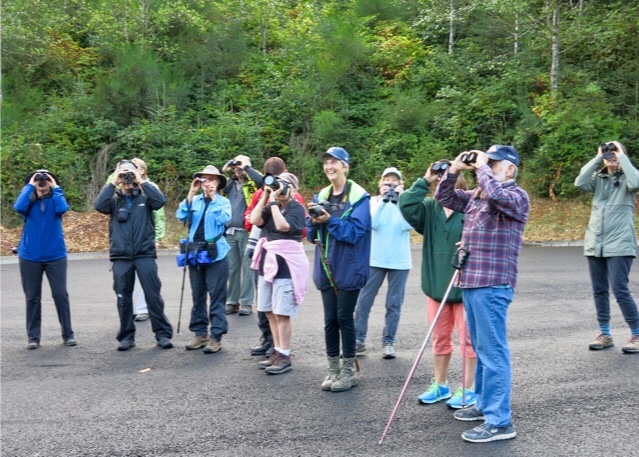 After a rainy night the sun came out for the 20 birders that wanted to check out the birds a Knight Park. 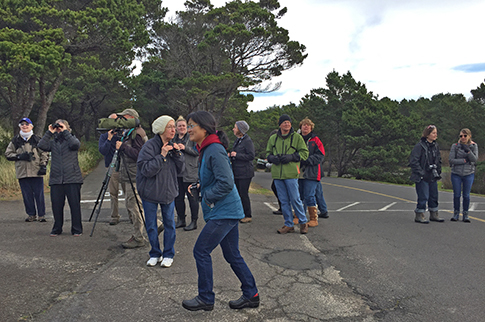 It’s always fun to meet enthusiastic birders and enjoy that time with them. 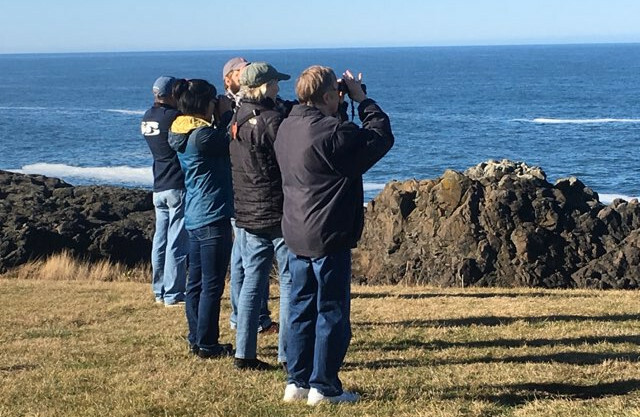 It’s great to enjoy Explore Lincoln City with others. Photo compliments of Ernie Rose. 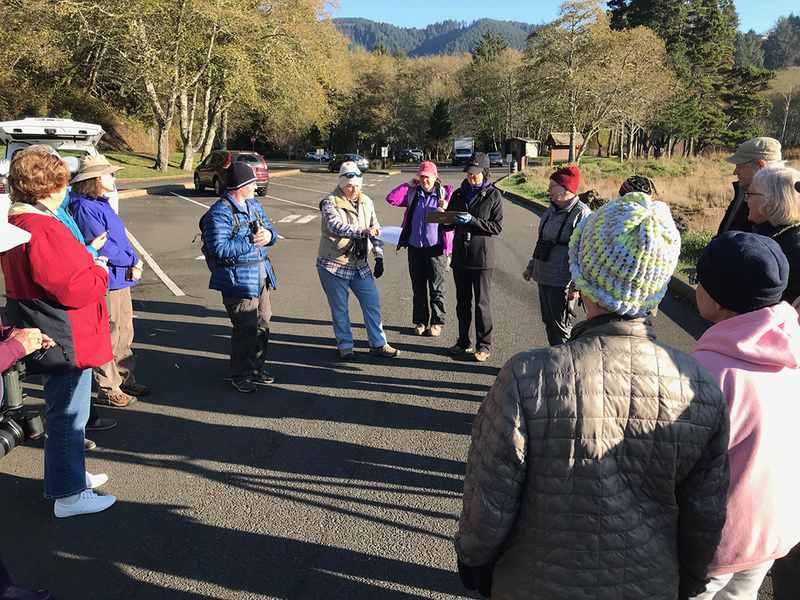 After a night of wind and heavy rains, blue skies greeted 19 birders for a walk on the Friends of Wildwood trail and nearby neighborhood. 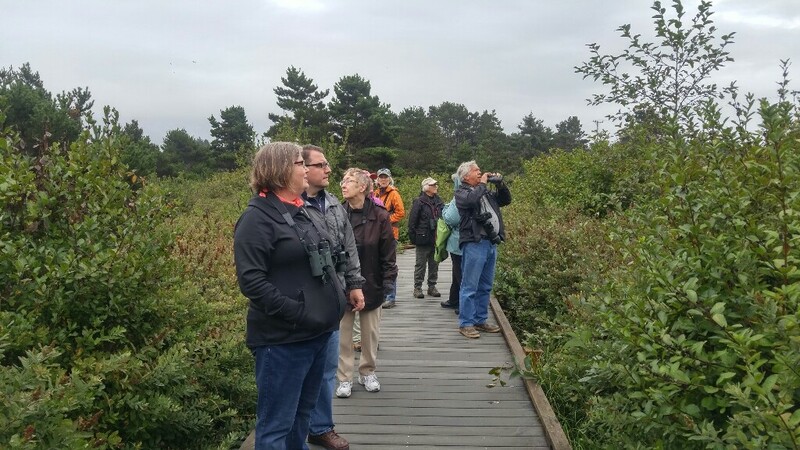 Birders from as far Victoria, Arizona, and California joined us. 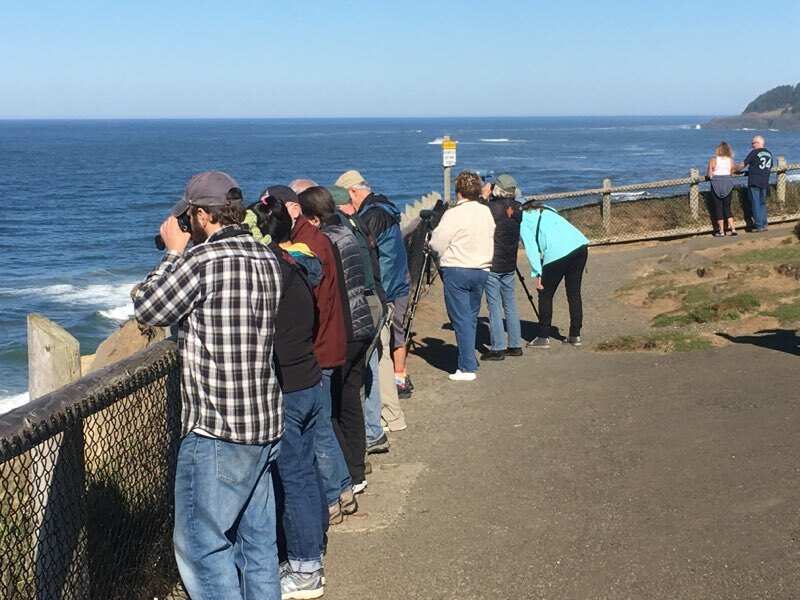 Birds and whales were sighted in 17 pairs of binoculars starting at Boiler Bay. 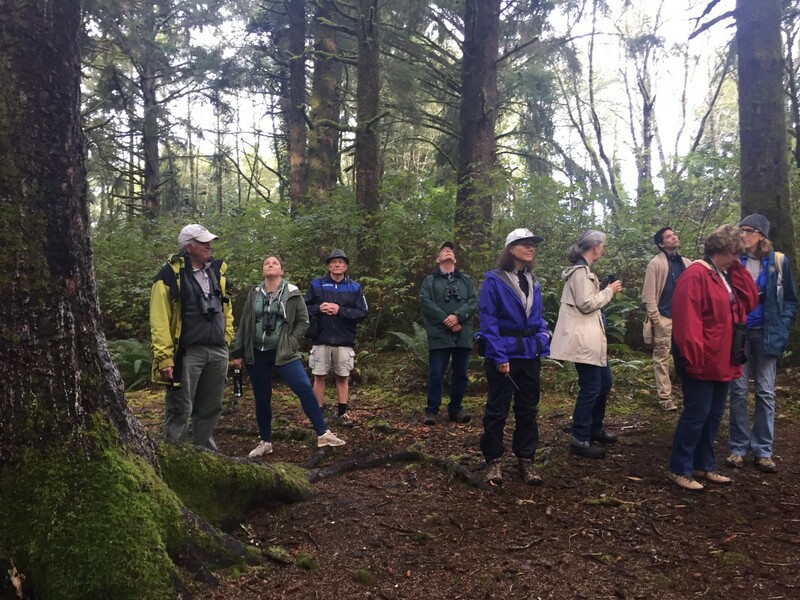 We had birders from Fort Worth, Texas and White Salmon, Washington who spotted several life birds (birds they had never seen before). 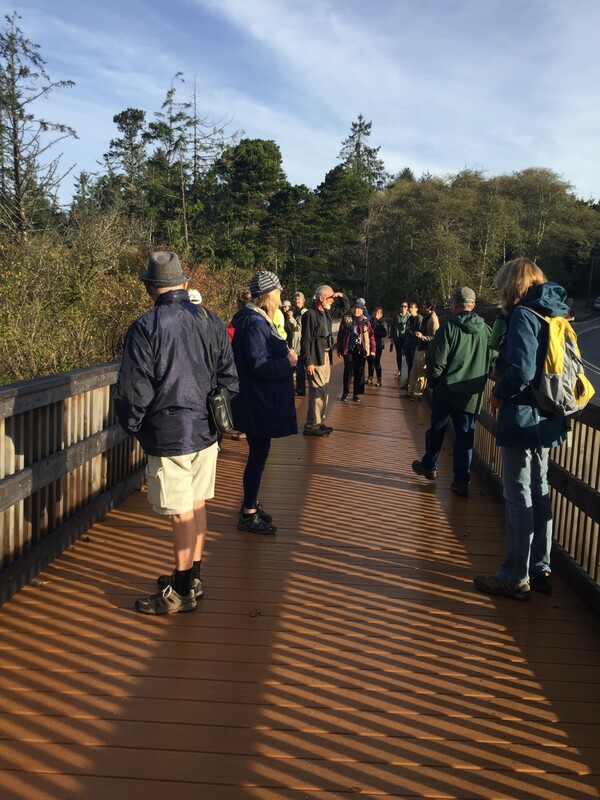 What a beautiful day to walk with 18 birders around Cutler City and Josephine Young Park. 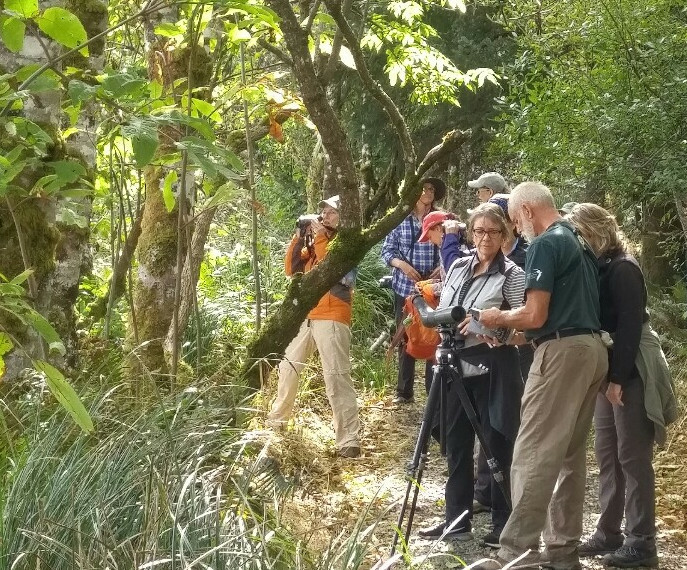 We had visitors from Tucson, Los Angeles, and Tidewater. 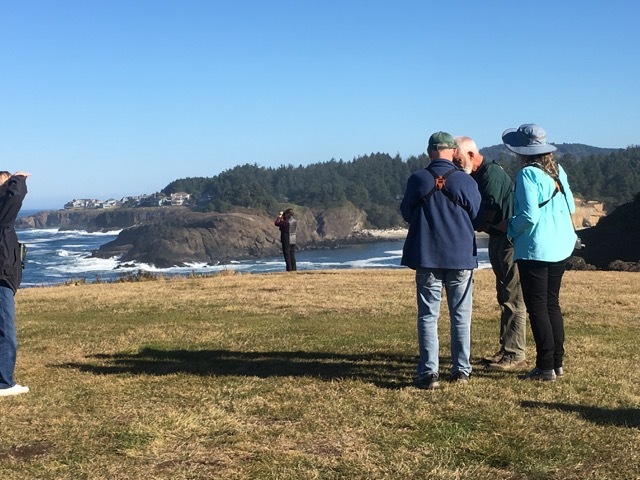 Among the 25 species were Red-necked Grebe, Townsend Warbler, Golden-crowned Sparrow, Yellow-rumped Warbler and Surf Scoter. 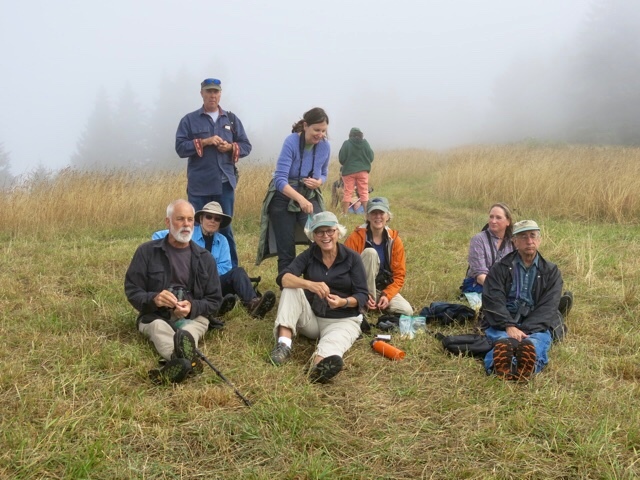 Twelve intrepid birders from as far away as Missouri (!) enjoyed two hours of birding along D River and Devil's Lake State Park. 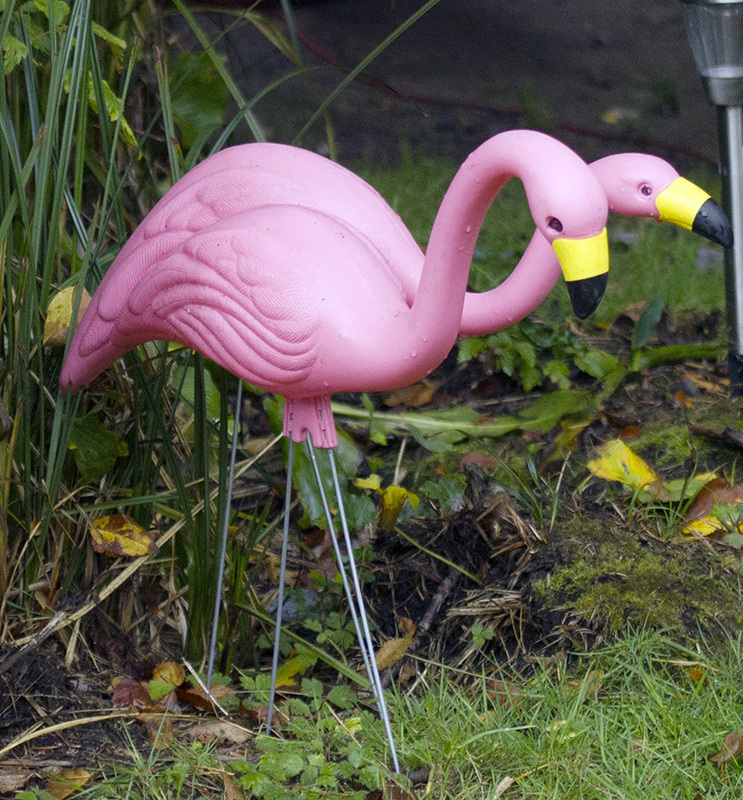 It was a pretty quiet, overcast morning but we ended up with 26 species - 27 if you count the pair of Pink Flamingos gracing one of the campsites. 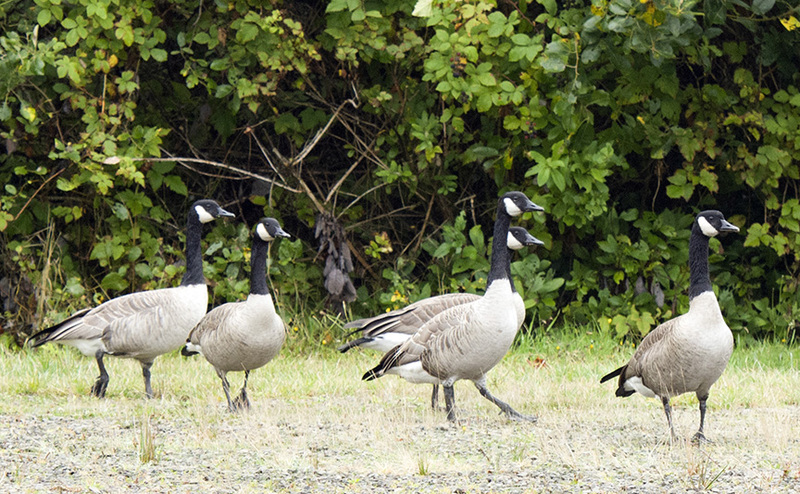 Birds were busy and hard to spot in the falling leaves and movement from the slight breeze. A lovely Great Egret landed in D River, while an unexpected Merlin chased a flock of blackbirds overhead - one of the blackbirds was also chasing the Merlin! 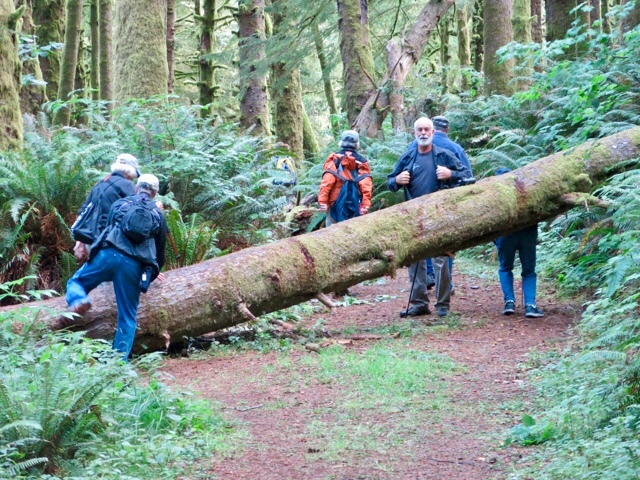 15 birders were delighted to find mostly sunny skies instead of the forecast rain at Alder Island Saturday morning. 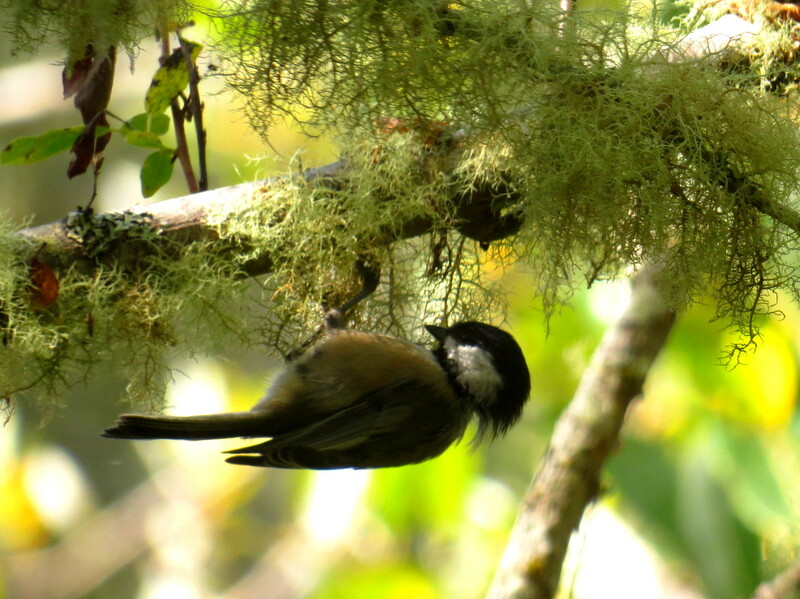 The trees and brush were filled with birds and birdsong. 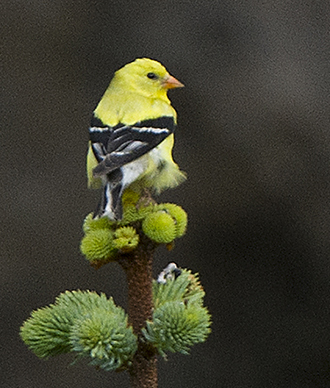 American Goldfinch and Warbling Vireo families were plentiful, with begging youngsters being fed by patient parents. 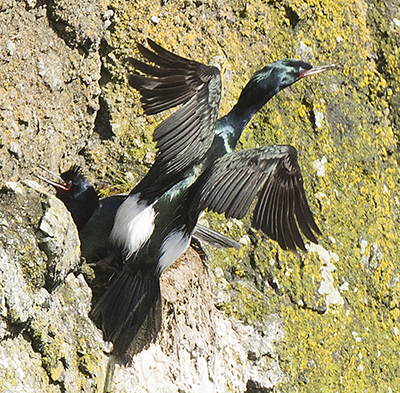 Ducks have started to arrive at the bay, and several Common Merganser were feeding in the canal by the trail. 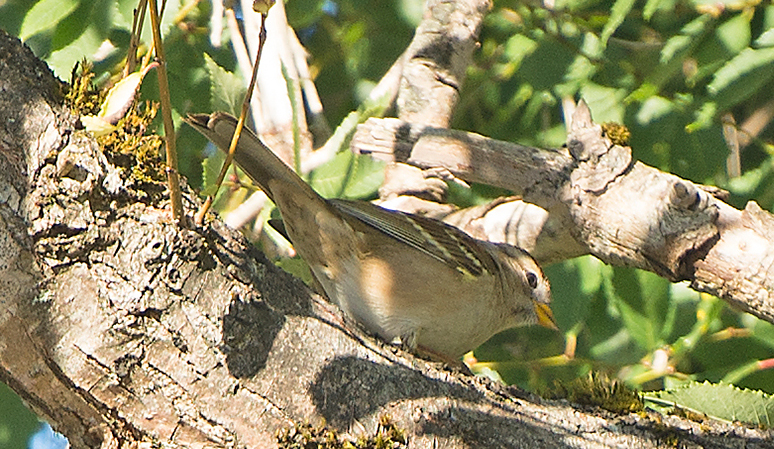 Most plentiful birds were Song Sparrows and Cedar Waxwings. 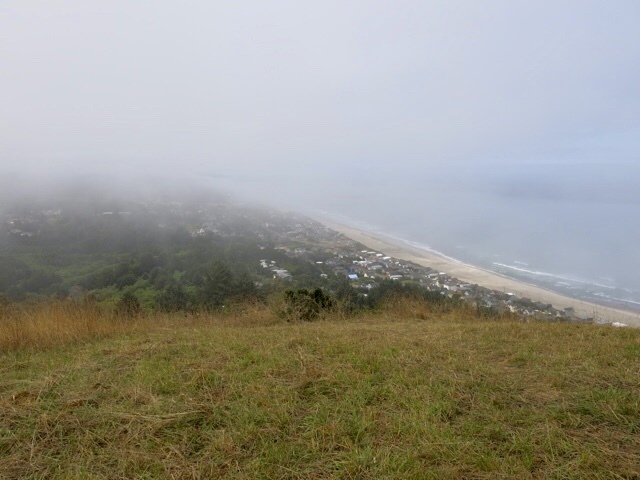 The fog was low in the trees on our walk to the Knoll Friday morning. 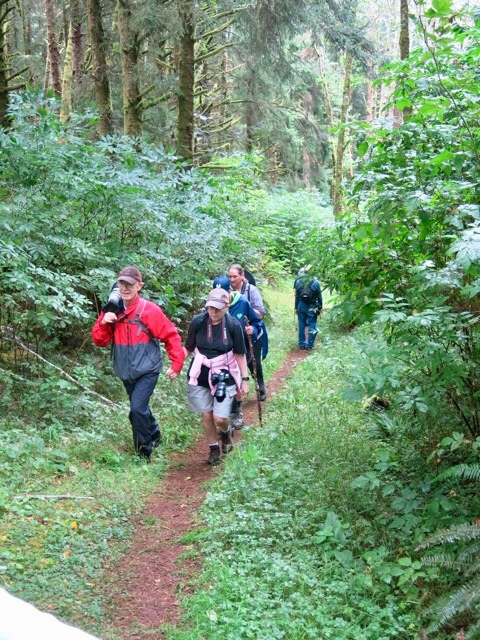 There were 19 birders/photographers that were not disappointed by the beauty along the trail. 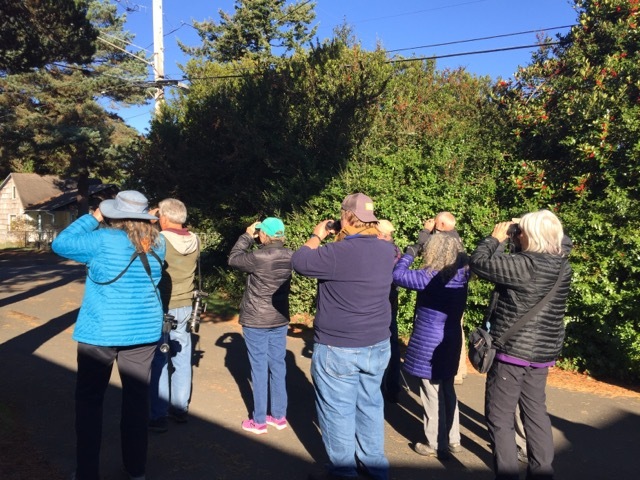 We were entertained by the song of the Swainson’s Thrush, Wrentit, Pacific Wren, and the Sightings of the Cooper’s Hawk, Song Sparrow, American Crow, Band-tailed Pigeon, Stellar’s Jay, Raven, Barn Swallow, Dark-eyed Junco, and the Chestnut-backed Chickadee. 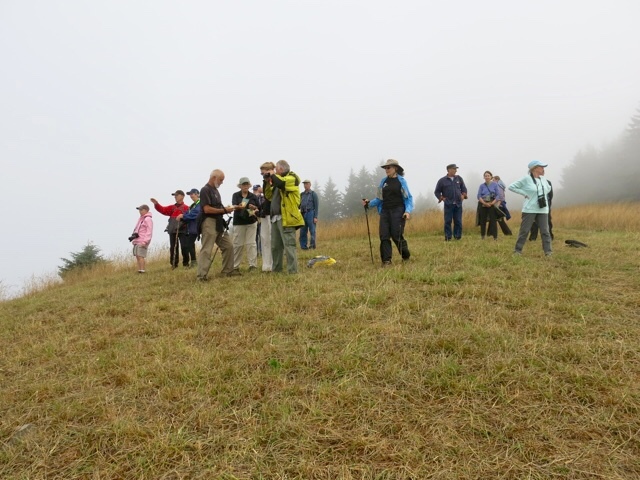 Buell County Park in Polk County is a hidden gem for the eight birders that attended our field trip on Saturday. 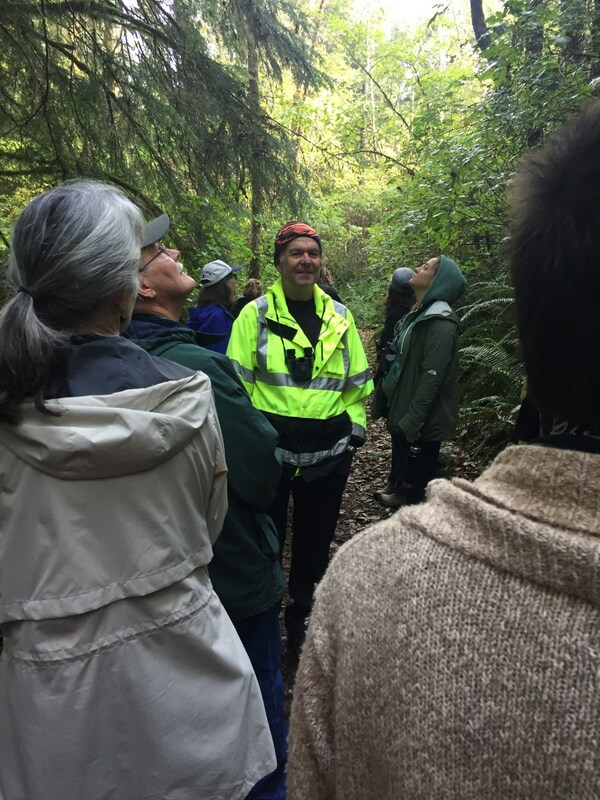 Our field trip coordinator, Mark Elliott, played at Buell Park as a child and now he leads birdwalks there. 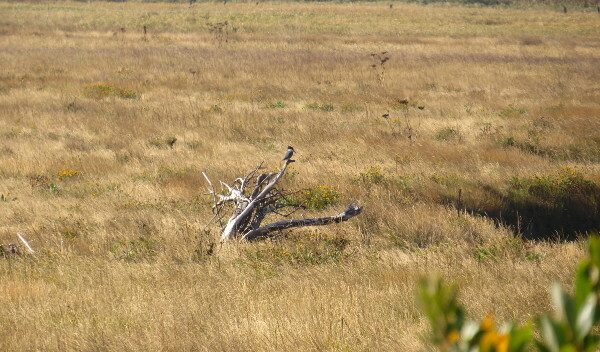 Cooper’s Hawk along with a few more species. It was a wonderful Friday the 13th! 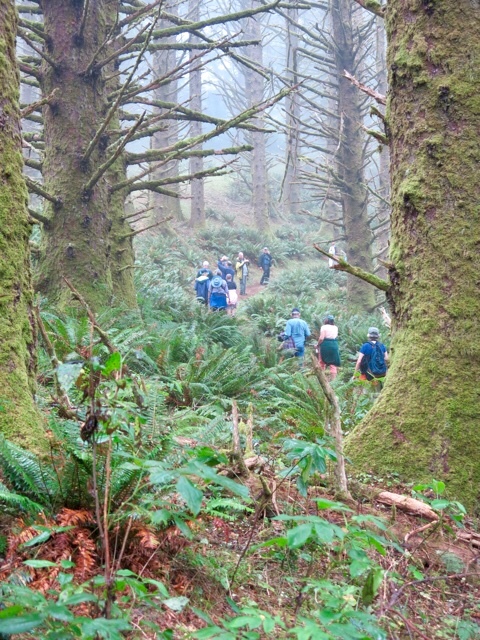 Fourteen birders walked from Villages of Cascade Head to Roads End State Park. 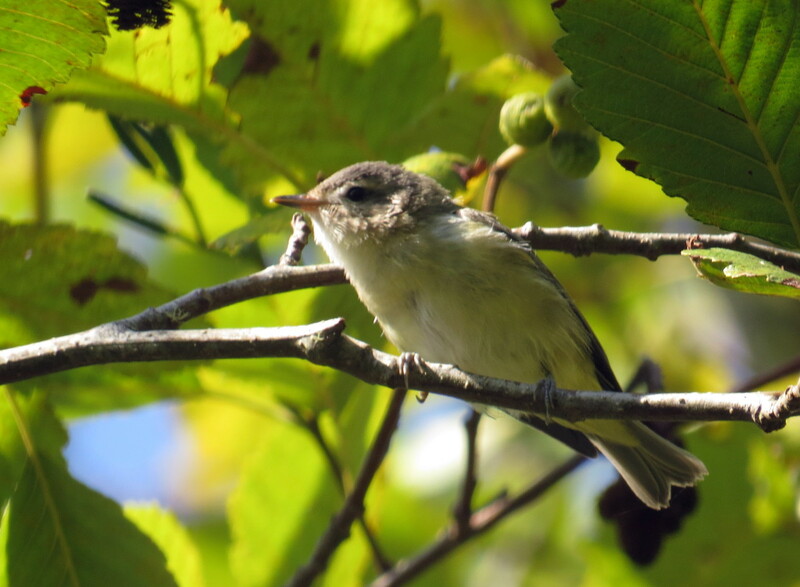 We saw 29 species including Downy Woodpecker, Heerman's Gull, juvenile Bushtits, and Warbling Vireo. 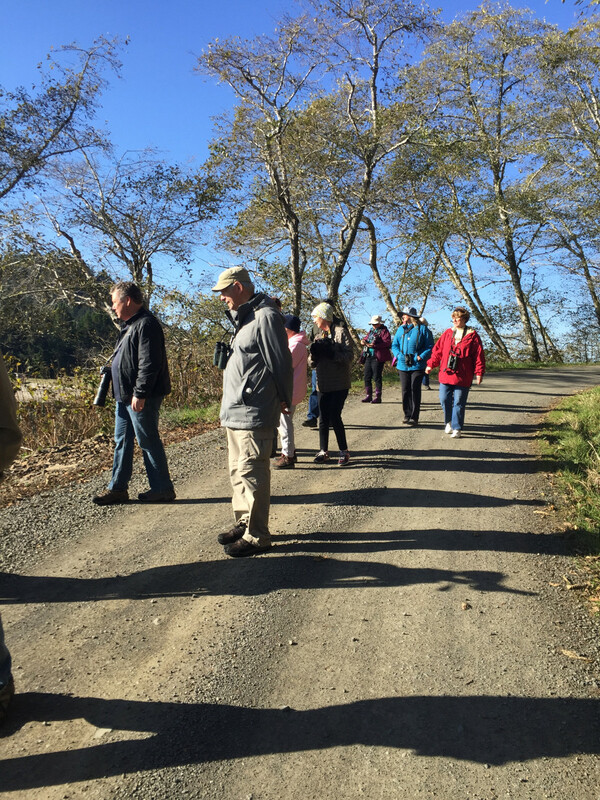 It was great to meet folks from Newport, Tidewater, and Southern California! 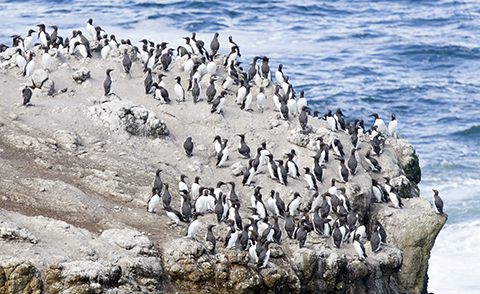 Thank you Lincoln City Visitor and Convention Bureau! 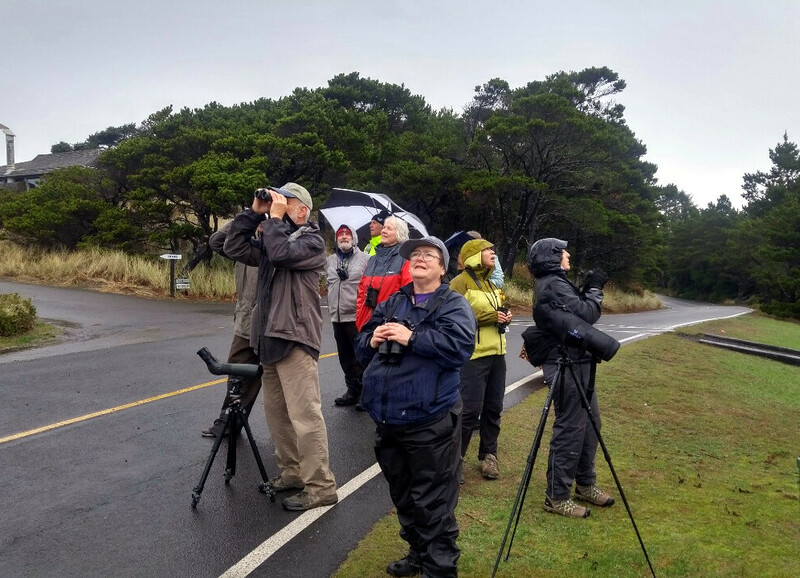 A very early downpour of rain had some folks questioning their thoughts of attending this bird walk. 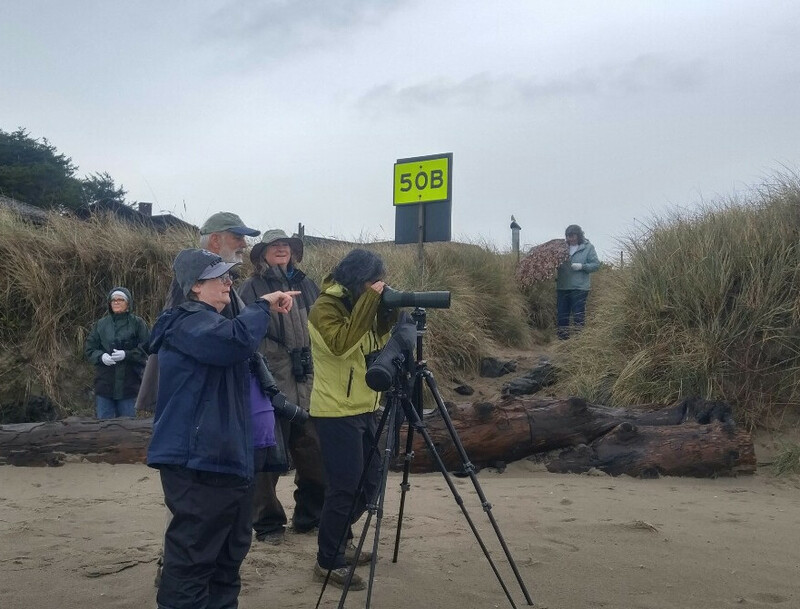 But the Yaquina Head Visitors Center parking lot saw 19 diehard birders gathered for the morning's birding adventure. 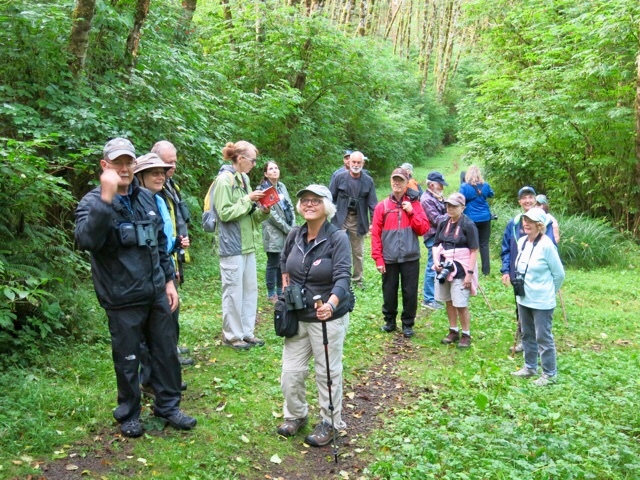 Yes, it was raining at first but after awhile blue sky appeared and kept the birders dry for the rest of the walk. 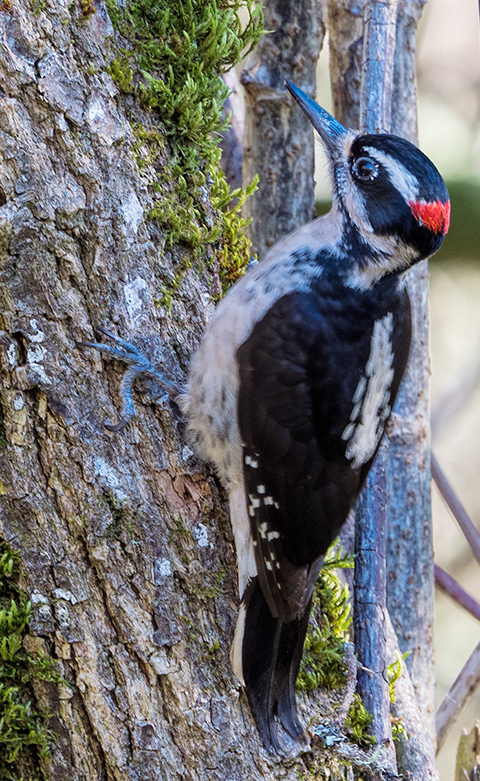 Saturday was a beautiful day for birding. 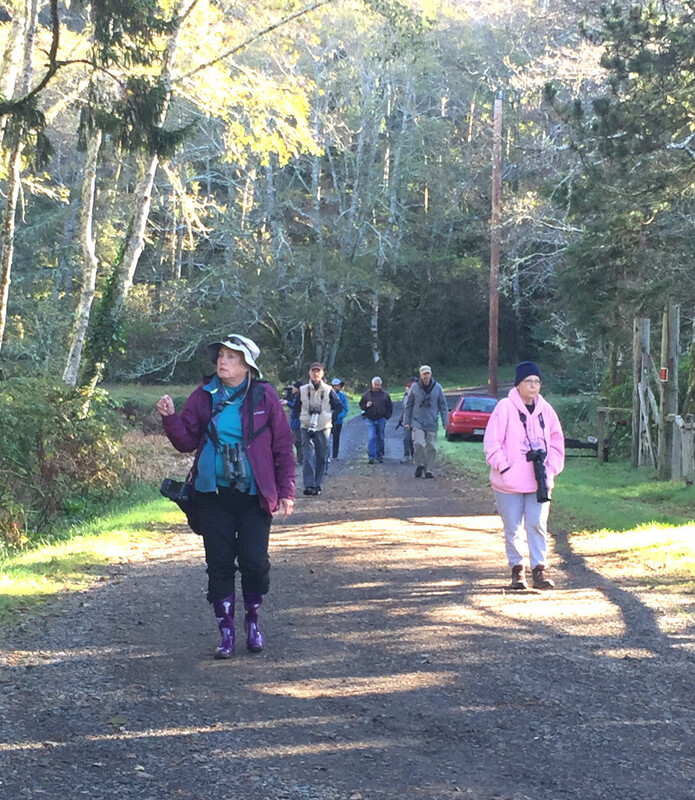 Audubon had 26 birders turn out for a beautiful walk at the Refuge. 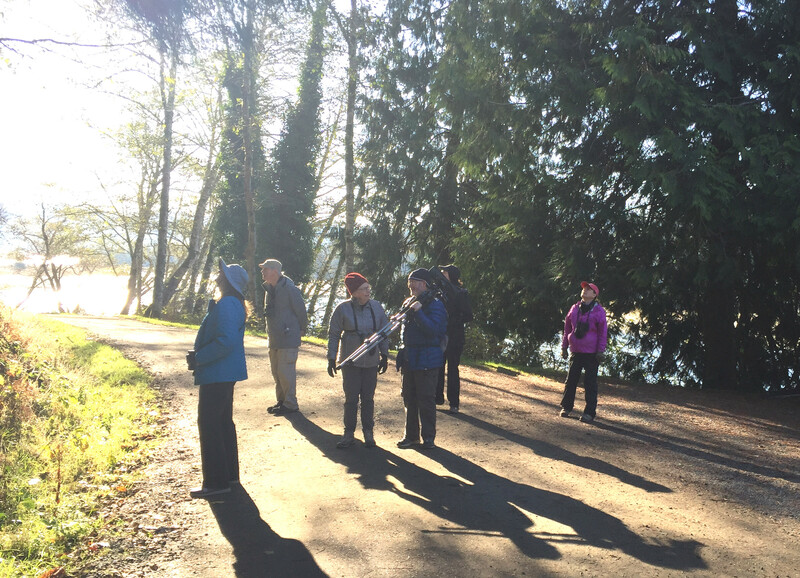 Turkey Vultures and Tree Swallows showed us that Spring is just around the corner. 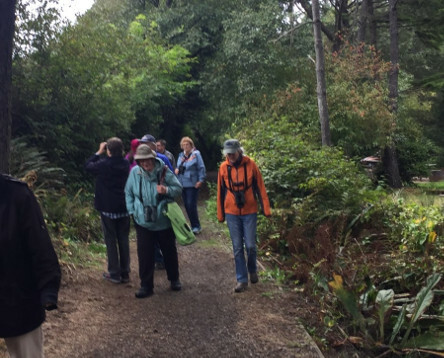 Saturday’s bird walk brought 30 birders out to enjoy sunshine and the birds. 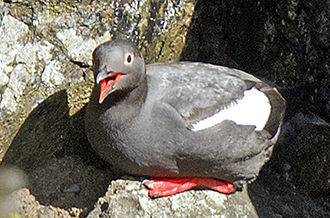 The tide was in at Siletz Bay and we were treated with a variety of birds at that location. 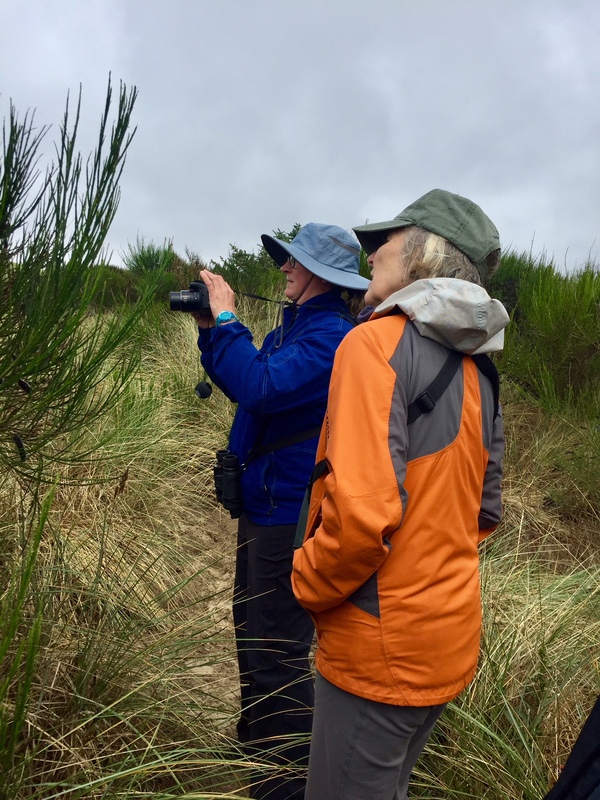 The walk along the Salishan Nature Trail provided another opportunity to see up close more birds in the bay. 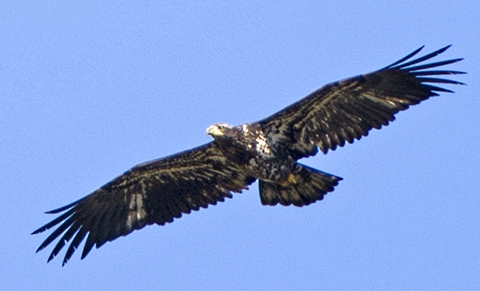 Looking up directly overhead, as if on command, an immature Bald Eagle flew by to everyone’s delight. 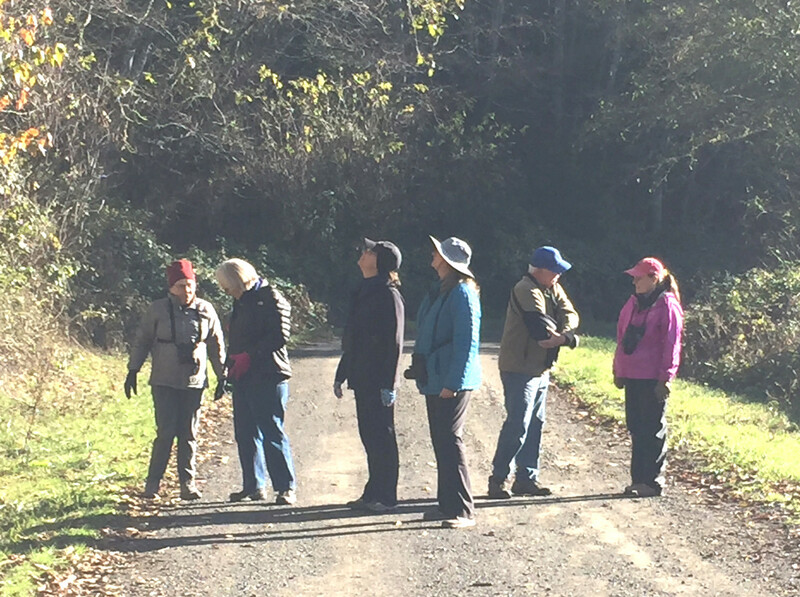 Saturday was a perfect day for a bird walk. 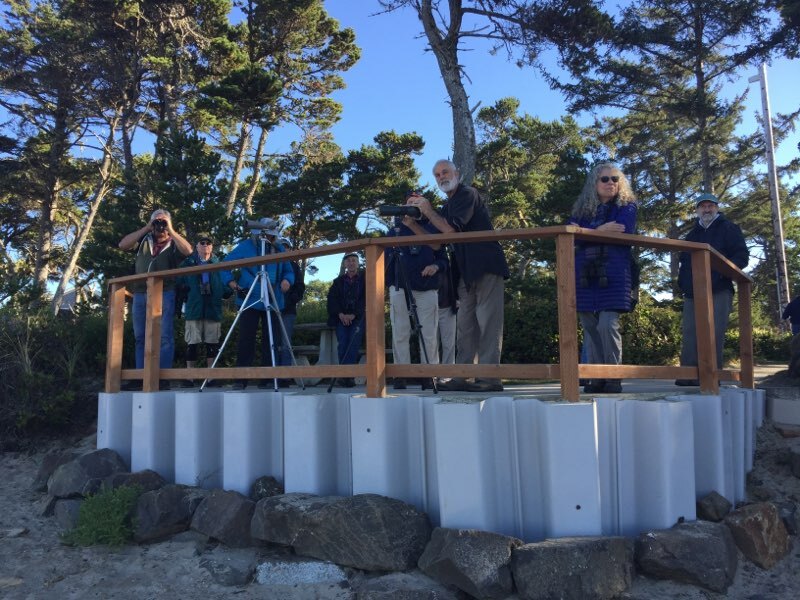 Just ask any of the 27 birders that show up for the beautiful weather at the Marine Hatfield Science Center. 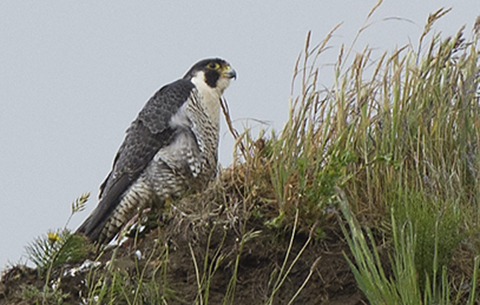 Right away a female and male Peregrine Falcon were spotted and everyone got a good look at these beautiful birds. That was only the beginning.